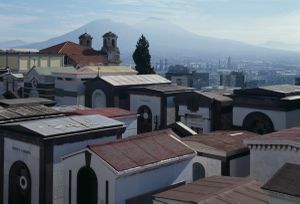 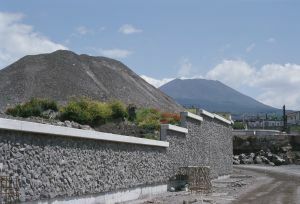 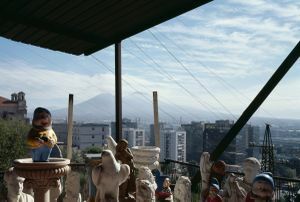 The excavations of Ercolanum and Pompeii not only offered deep insights upon life around the year 79 b.C., but also helped to understand volcanism. 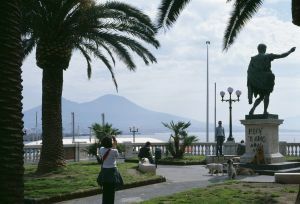 It had many effects on art, literature, architecture and tourism - it was a must of the "Grand Tour" in the 18th and 19th century. 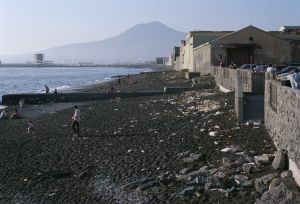 Since then Mount Vesuvio became the most visited volcano of the world and should be honored at least by Europeans like the Japanese honor Mount Fuji. 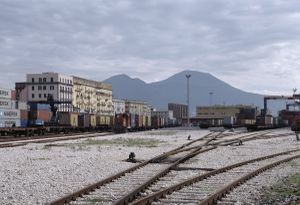 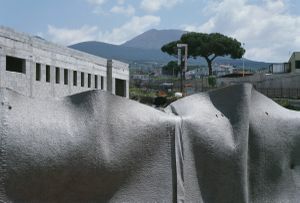 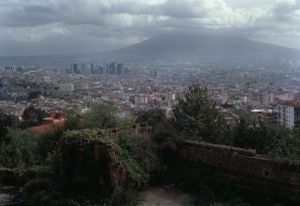 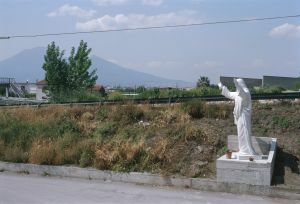 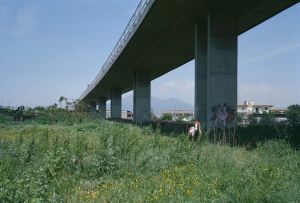 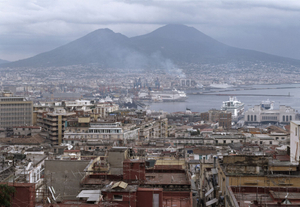 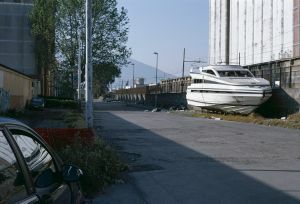 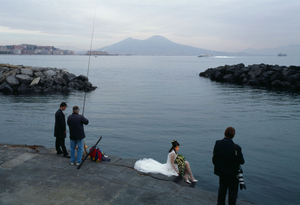 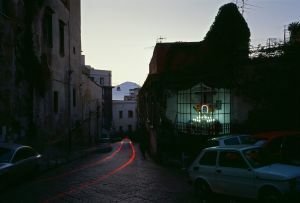 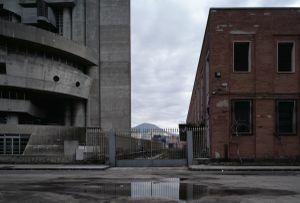 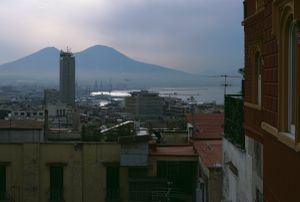 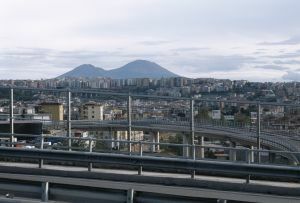 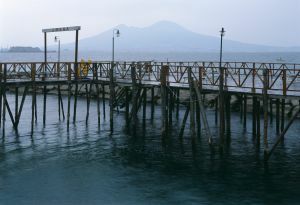 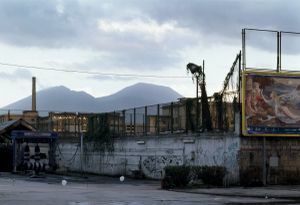 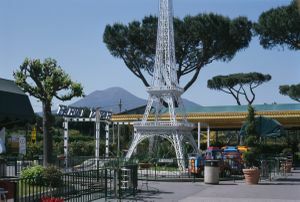 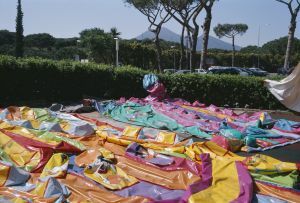 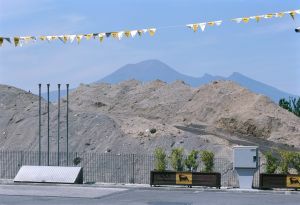 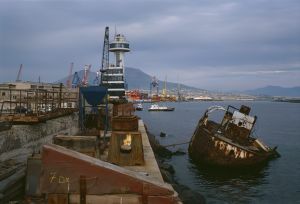 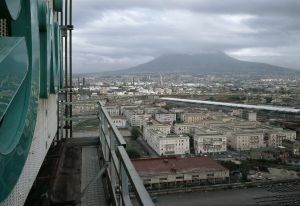 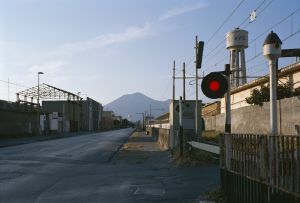 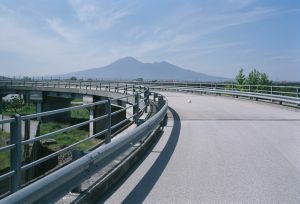 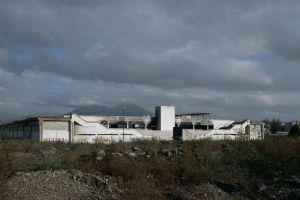 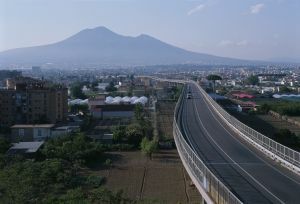 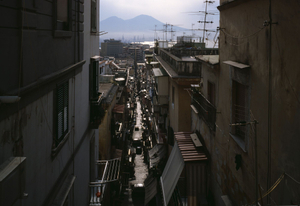 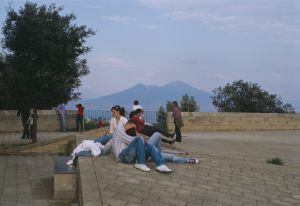 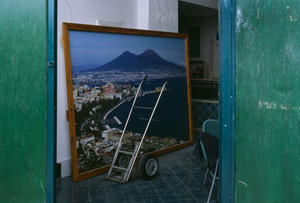 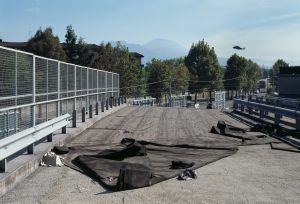 Visting Naples in 1996 fot the first time, I was fascinated by the conglomerate of factories, backyards, streets, pylons and billboards along the the highway to Sorrento - in strong contrast to the sunlit landscape with Mount Vesuvio throning above all. 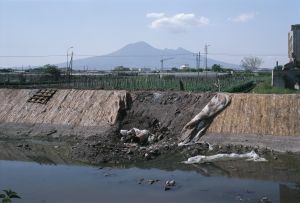 The woodcarvings of Hiroshige and Hokusai came into my mind and served as conceptual model for this series. 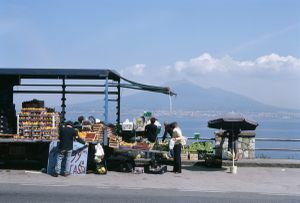 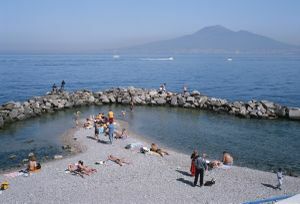 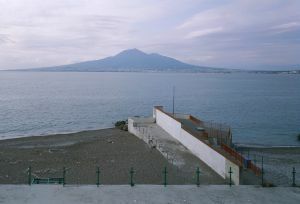 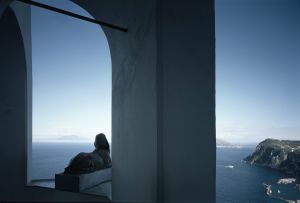 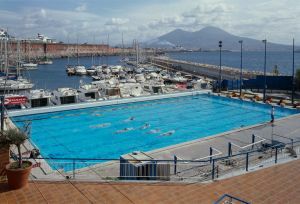 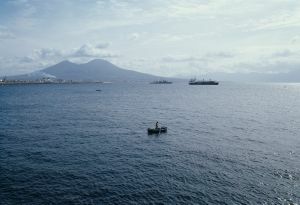 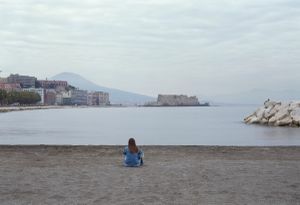 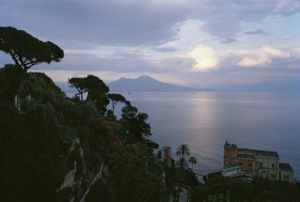 The photographs shown were taken between 1997 and 2008 on several trips to Naples and every time I was discovering new aspects. 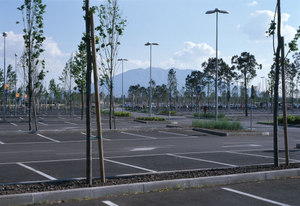 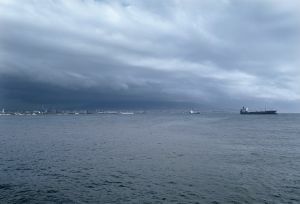 I don't yet when, but I will shurely go back one day, as there are areas I couldn't cover when I was there. 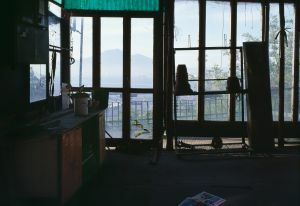 As a camera I was using a 6x9 cm Ebony, which allowed more flexibility than an 8x10" (which was my first intention).